Catered Conference Venue East Rand – We cater and provide for conferences, we include additional services and equipment that you might need during the conference. We also provide accommodation for attendees. Equipment: Data projector, screen, flip chart, white board and wifi. If you require a conference venue with accommodation and catering, contact us for more info. We work with you to ensure a smooth operating conference. Conference Venue Bredell – Bredell is on the edge of Kempton Park and Nkanga Lodge is only 9 km (about 5.6 miles) near O.R. Tambo International Airport. Our venue is a cozy, relaxed and informal. Our conference venue is available for events, workshops, training and similar. Contact us for conference or event bookings, we can provide for a variety of specific needs, for any variable or requests. We look forward to assisting you with a successful conference. Conference venue East Rand – within easy reach of OR Tambo International Airport, Kempton Park. Nkanga Lodge Conference Centre is the perfect way to get your teams out of the office into a relaxed and informal environment for conferencing, training days and workshops. If you have been tasked with arranging a conference and are searching for Conference Venue East Rand, please contact us. We would love the opportunity to work alongside you in in putting together a successful conference. With our close proximity to Witfield, Nkanga Lodge is well situated for businesses in and around the Witfield area looking for a venue for conferencing, team building or executive board meetings. Our business lounge was used as this is the ideal space for our business clients to host executive boards meetings or conferences for up to 10 people. We have a fully equipped air conditioned Conference Centre which is able to cater to up to 20 people comfortably, making it ideal for larger conferences. Our Boma Venue is very popular for its quiet, informal, outdoor feel and depending on layout can cater for up to 30 people. If you have not used our venue before, we would be delighted to have the opportunity to assist with your next conference. Please feel free to contact us should you have any questions regarding our conference venue, facilities or accommodation. 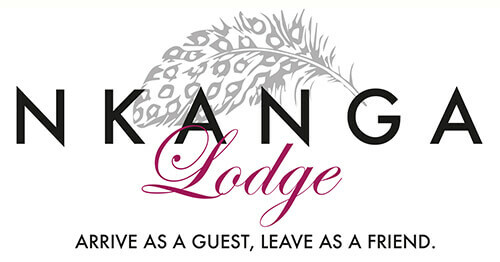 Nkanga Lodge were approached by a professional conference organiser working with a blue chip company to arrange a two day conference with accommodation. Their requirements were for 20 delegates. Nkanga Lodge would love to assist with your conference too. Get in touch with us before you book for your next Conference Venue.